7 PC - Tooled Faux Leather Comforter Set - Accented with Silver-toned star Conchos and grommets. Available in Full, Super Queen and Super King sizes. 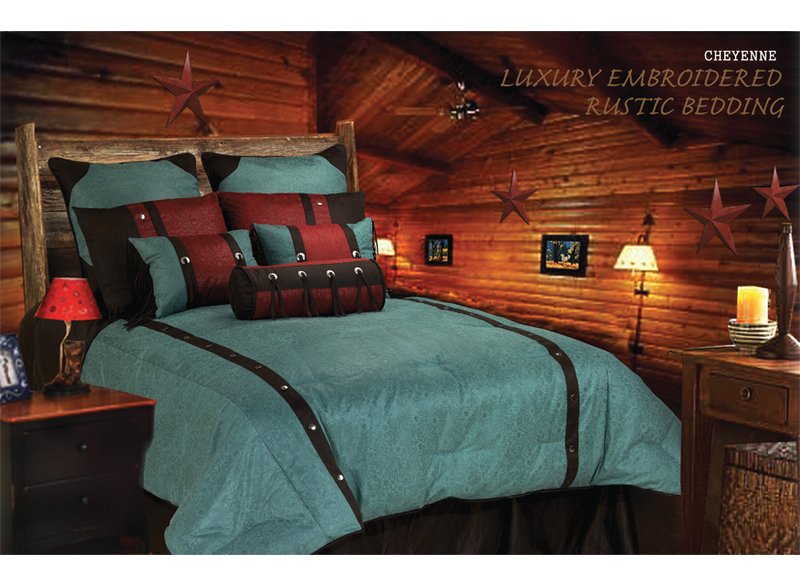 5PC - Tooled Faux Leather Comforter Set - Available in Twin size.